author, structure, review & publish complex content. FrameMaker| Level 2 takes your skills to the next level. Learn to take advantage of long document support including book management, working with advanced numbering, markers and variables. Create sophisticated tables and rich formatting options that include footnotes, cross-references and more. Learn how to manipulate conditional documents and publish for different outputs. Work with templates and advanced formats to reuse design and content. Your instructor will cover the pitfalls and the best practices will be followed so that you are creating long technical documents correctly and efficiently in this Framemaker class. 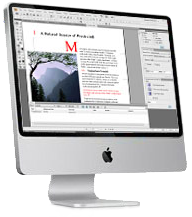 FrameMaker : Level 2 is for students looking to take their skills to the next level, with advanced features like long document support, advanced numbering, markers and variables. and Onsite FrameMaker Training nationwide.